Etsy is a bittersweet treasure trove of vintage maps. I have mixed feelings because, on one hand, sellers disassemble awesome old cartographic volumes, yanking the plates out of their bound context. On the other hand, they go on to live in tidy frames in Brooklyn apartments where human eyes can appreciate them for the first time in a hundred years (or ever). They are helpful to me, both as aesthetic and technical inspiration, and as a heady reminder of the care and thoughtfulness of a process that was, compared to our current technological advantage, a laborious investment. 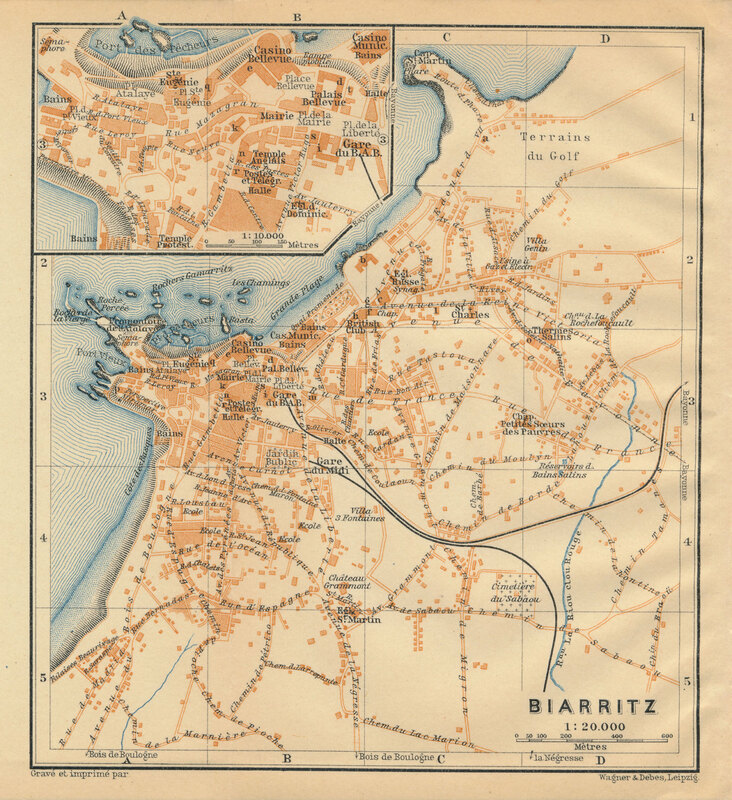 This is a map of Biarritz, France, published around 1914 by German cartography firm, Wagner and Debes. Two color lithographic passes over black ink (a German actor invented lithography, by the way). They made these scale maps of zillions of cities. That this one was published on the eve of unprecedented violence between these two countries casts a strange shadow on something so clean and beautiful. My immediate impression is the precision and clarity of the building footprint mapping. It reminds me of OpenStreetMap data (which would come some 100 years later) and I wonder if it was also the result of tracing imagery captured via aircraft. I doubt it, considering the infant state of aircraft technology at the time. Balloon reconnaissance? Pigeon drones? That's some heavy lifting. If this is the first time you've considered the humble coastal vignette, allow Daniel Huffman to illuminate. 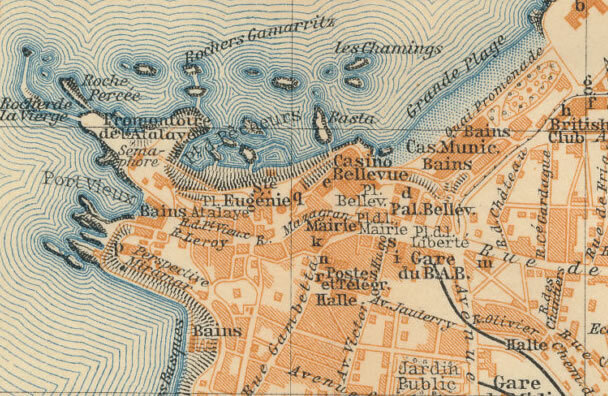 The inset map in the top left corner of the map shows a detailed view of the business district and harbor. I love that the cartographers spilled over the neatline to accommodate a rogue island and its coastal vignette. This sort of liberty and playfulness appears pretty frequently from cartographers of the past. Anytime I see someone wink at the dogma of the neatline, I have to salute it. Check out the willingness of the cartographers to omit data (even the reference grid) underneath and around the map title to avoid visual complexity -rather than boxing a title into a neatline. On point. It's also fun to note that this 100 year old map uses the metric system, which had already been in use in parts of Europe for about 100 years. I tend to avoid cartographic labeling and annotation. 1) I don't generally make reference maps so I don't feel the need, and 2) It's really hard. All of the type in this map is seriffed, to help the eye track through the letters (particularly when they curve and meander along features). Except for the Title. Mixing serifs with non-serifs is risky and this is a good example of when to do it. Serifs, by the way, have interesting but uncertain origin stories and equally uncertain benefits to legibility. The massive large font of the title doesn't need that embellishment or readability-tracking and it sets it apart from the underlying content. I don't know what the font used here is, but it sure is early-1900s. 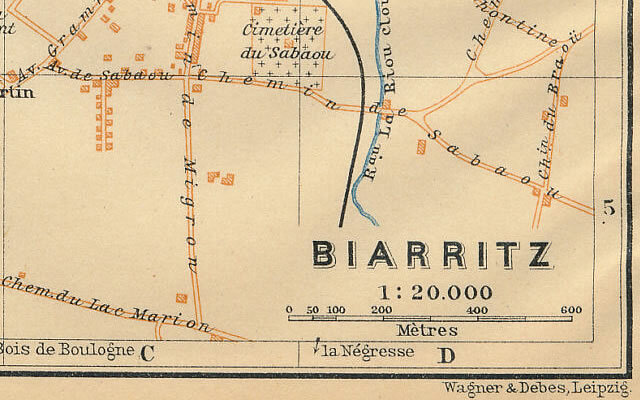 Notice how the neighboring town labels in the neatline read vertically with the top of the letters facing the near edge of the map. Did you ever wonder why vertical (up-down-reading) text tends to be oriented so the tops of letters are facing the nearest edge? It's because we have necks that pivot and eyes that roll in a way such that our brains prefer the continuity of "up" as we tilt our heads to one shoulder or the other. Even if we don't tilt our heads to read the vertical text, we still like it that way. 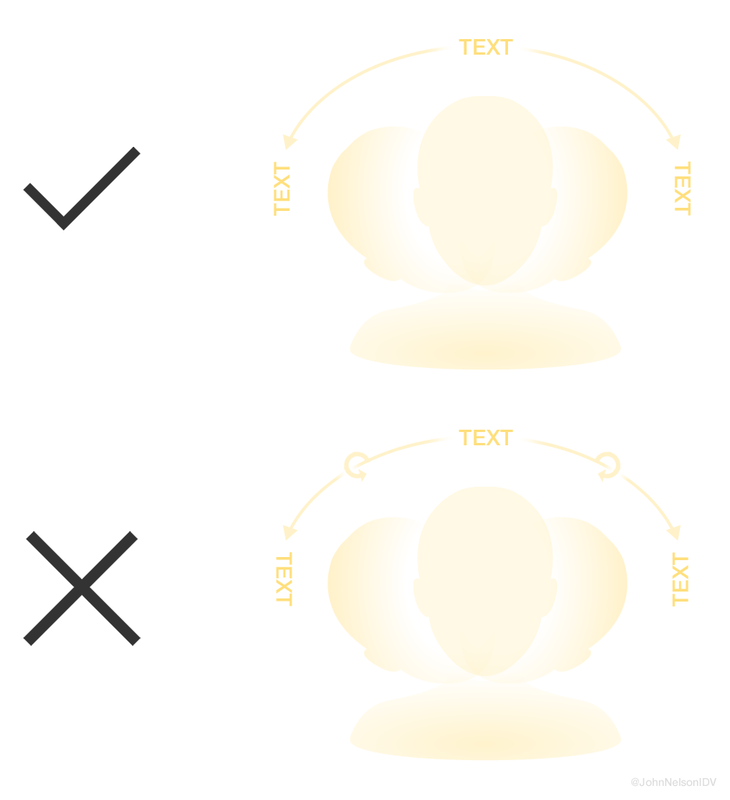 To run text the other vertical direction on the edge of a page requires our brains to do a mental flipping at some point. There you go. A simple little reference map. Packed with professionalism and craftsmanship. This is the fun of looking at the work of experts. It is deceivingly simple, but that simplicity comes from a level of workmanship that only an expert can apply. To be the maker of something admired one hundred years later must be pretty satisfying, if only Wagner and Debes knew.